I believe that musicians provide a vital service to the community during the Stroll, making the event more merry, more fun. Musicians, like other service providers, deserve to be compensated for the work that they do. To imply that because they enjoy it, they shouldn't insist on getting paid undervalues the real contribution that the bands of the Bay Area give to the communities of Albany and Berkeley. I believe in paying people what they deserve when they provide you with valuable services and improve your quality of life. I hope that the Solano Avenue Association will find it in its budget to reconsider, and pay the musicians. All of them. Thank you for the excellent coverage of the Solano Avenue Association's decision not to pay musicians this year. My suggestion is that the cities of Berkeley and Albany have a Solano Stroll musicians' fund without any middle man, so that both merchants and community members can contribute to a fund evenly split between participating musicians. Not only would the musicians' pay no longer be at the bewildering whim of the Solano Avenue Association Board, but we would also know who among the merchants honestly cares about the state of live music, and could shop accordingly. I have been a professional in music events management for many years. And I am a musician as well, so music people are my people. This discussion is not to demonize or politically attack any organization or individual, but to give everyone a better understanding and more information with which to make an informed decision. 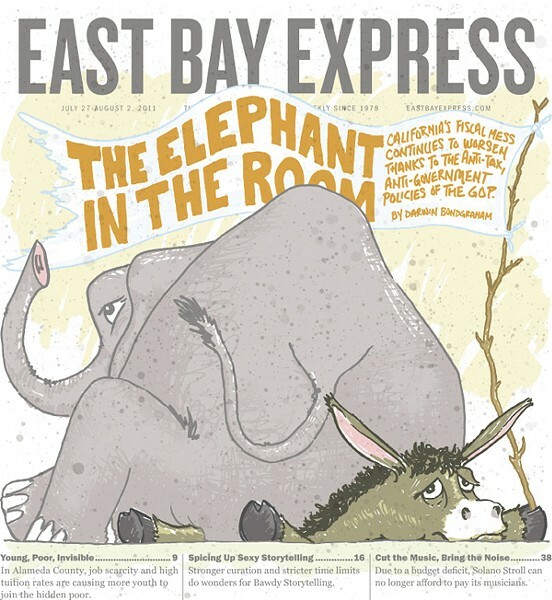 Recently, I have been discussing an issue with musicians in the East Bay. A few have spoken out that they were selected through the jury process to perform at the Solano Stroll. They had made the booking and been contracted to perform, and then were told that they would not be compensated. The contract provided by the managing organization has some questionable interpretation in regard to the language — it asks how much the musicians want to be paid, with a cap on the total amount they can receive for their services. The managing organization of the event interprets that language as meaning that if they do not have the funds to pay musicians, then they, under the terms of their contract, can retract payment. In my experience in dealing with entertainment contracts, I would interpret this as a variance in a formal contract endorsed by the parties. Further, it then could appear to be a "breach of contract" by the managing organization's refusal to pay. However, in my experience, to have damages, I would have to perform at the event under the terms of the contract, and then not be paid. I cannot and will not advise any musician not to perform. It is up to that musician to see the ultimate personal benefit they will derive from their performance either volunteering or working and earning a living performing music. However, the actions that we as musicians take will always affect the whole. Performing for free can be just as rewarding as getting paid. The only precise result for the action of performing for free is "the economics of diminishing returns." Most importantly, when I choose to perform for free at the request of an organization that is managing a community event, many times that organization will be a nonprofit group. When I perform for free for such a group, I am actually a volunteer, volunteering for a nonprofit event, and I will bill as such or contract as such. I request a 1099 nonprofit receipt for my services. And I always compute my costs at the standard rate of $65 per musician per hour, and factor in all costs associated with the performance. That is a good tax break for working musicians. I know Carol Denney and I know that she is a solid individual and a professional artist of her chosen trade. And no individual should be criticized or attacked for their objection to events that gather our individual attention. And Allen Cain should not be attacked as well. But all should remember that for many musicians, it is a business and a profession. The money we earn from performing is, for many of us, a primary or a secondary source of income. Words of wisdom for the Solano Avenue Association: Many times, a free musical act is an inexperienced act that will lead to more complicated problems than just showing up, performing, entertaining the crowd, collecting the check, and going home. Lastly, tips and CD sales are consumer-based sources of income, and people now have less disposable income to spend. Every musician I know, including myself, will and can commit to help the community, the impoverished, the needy, those in ill health, the children, political causes, and needs for recent hurricanes/disasters. They are always there first with guitar in hand, but it can be most difficult when the bills come at the beginning of the month. For some of us, music and our passion for performance is not a holiday occurrence or a weekend hobby — it's a way of life. But most importantly, it's a passion for the art of performance. What baffles me is there is this "elbowing" these days that musicians should perform for free. When I am approached by a group that asks me to perform at an event to help the disabled in our community, and they come with respect and integrity — not assuming I need a break or exposure as a musician, not convinced that I am available to play anything available to me, but that I am interested in what they are doing, and am concerned to help another human being — I am there and will play my heart out. Because it is my passion. As someone who's been a storyteller, I enjoy the casual nature of Bawdy Storytelling, personally. It's like telling a story at the dinner table — I don't need everyone to be staring me in the face to feel listened to, and I like the little whispers. And I love the other stories — they're recountings of places and people I know, which makes it fun, told in ways that entertain me. I'm amused at your portrayal of Sister Mable, Danarama, and Midori as having an air of pompousness, but then, these are people from a community I'm pretty familiar with. This letter is a discussion of the potential ramifications of the eminent destruction of Social Security and Medicare. First, from Aristotle: "Political restraint should be enacted by the creation of laws that prohibit excessive political influence either for reasons of wealth or associative connections; if this cannot be done, then such persons should be required to remove themselves out of the country. Watchdog authorities should be set up to oversee activities not in keeping with the welfare of the community at large; exceptional wealth in one sector of the society is particularly to be guarded against. It is well to remember revolutions begin from reasons connected with peoples' private lives." Again, from Niccolò Machiavelli: "Of all the follies a leader can involve himself in, perhaps the worst is to incur the general hatred of the people; such will never know safety. If they disarm the people, the people will fight them with the fury of their fists; if they kill their leaders, soon new leaders will spring up like the heads of the Hydra." Octavian Caesar, the first Roman Emperor, understood the above principles so well that he considered his most important title (out of many) to be Tribune — that is, "protector of the common man against the rich and powerful." It should be noted that he was one of the few to die a peaceful death in old age. It is clear the Republicans have little sense of history. Czar Nicholas II of Russia was certain his reign was secure with armies and navies and secret police, but in the end they could not, nay, would not save him (or his sympathizers). Well, reality is when it happens to you. These disenfranchisers of the proletariat had better start realizing that a gated community and a few rent-a-pigs won't save them when political Armageddon comes; and believe me, if enough vital services/programs are destroyed, it will come. Count on it. In our August 3 Legalization Nation column, "Gay Pride Tussles With Hemp Expo," we misstated the number of people who attended last year's Oakland Pride Celebration. Attendance was estimated to be at least 30,000. That article also contained an incorrect quotation estimating Pride's size relative to other similar events. The quote should have read that Oakland Pride is "arguably the second-largest Pride event in Northern California." In our August 3 Eco Watch, "Soundwalls Bound for Rockridge?," we incorrectly summarized resident Jon Gabel's position on the Rockridge sound walls. His position is that along most of their routes, they are not justified by the measured noise levels.